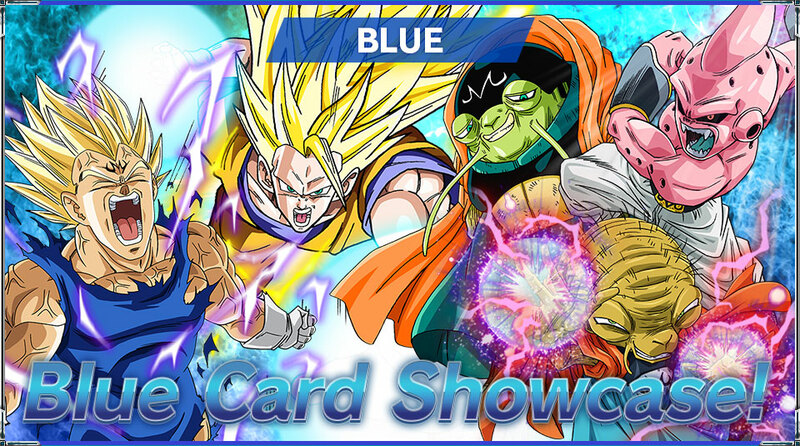 Let’s take a look at a few blue cards from series 3! 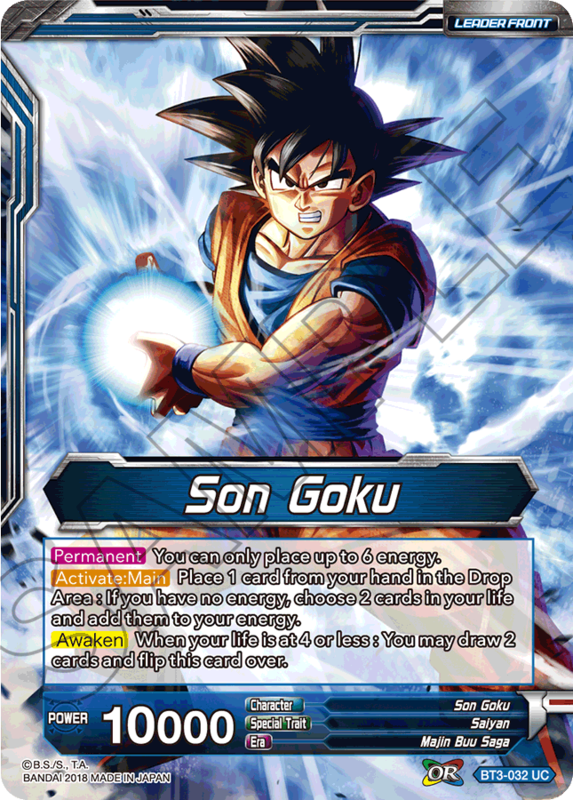 Blue in series 3 is mostly focused on DRAGON BALL Z !! 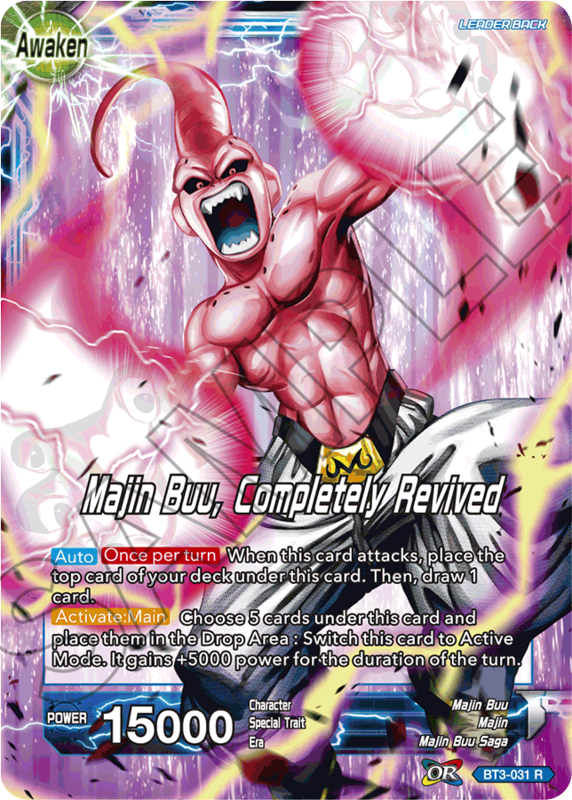 Majin Buu charges evil power every turn! 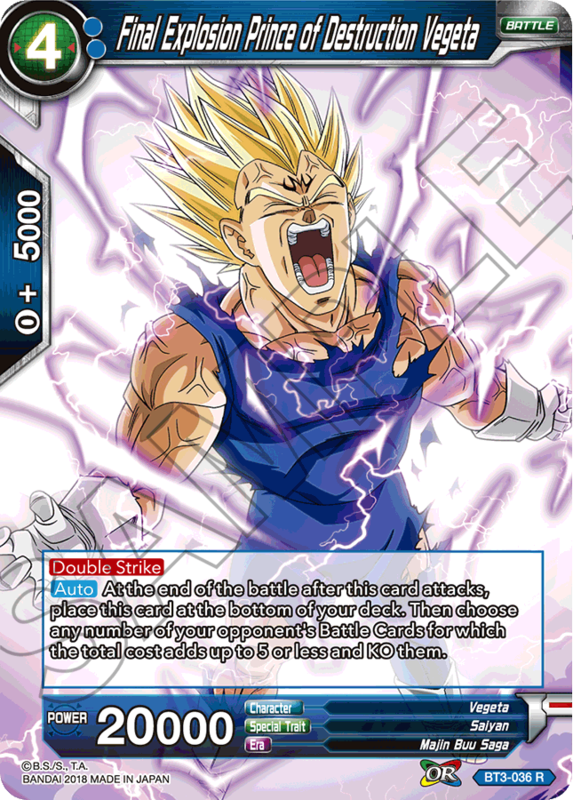 Unleash the power to hit your opponent with multiple attacks! 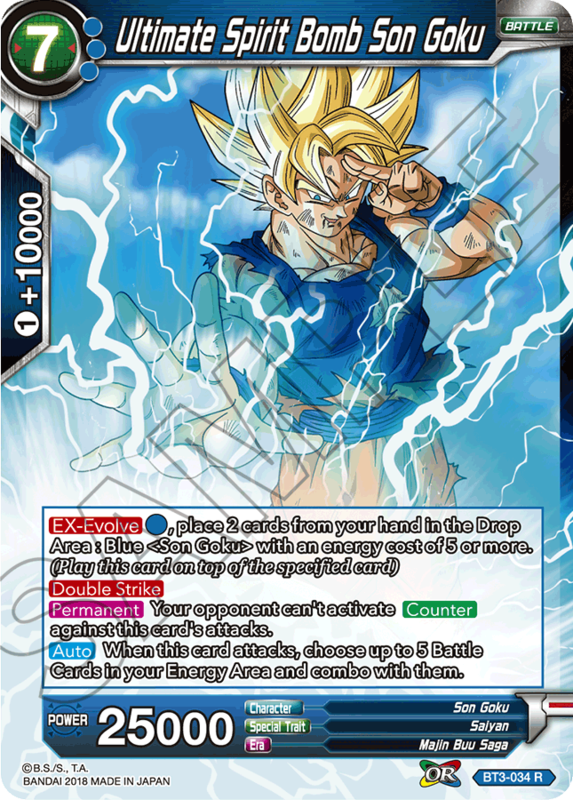 While this card limits your total energy, the boost it provides allows you to pull off super awesome moves! Build up your own strategy to utilize its full potential! 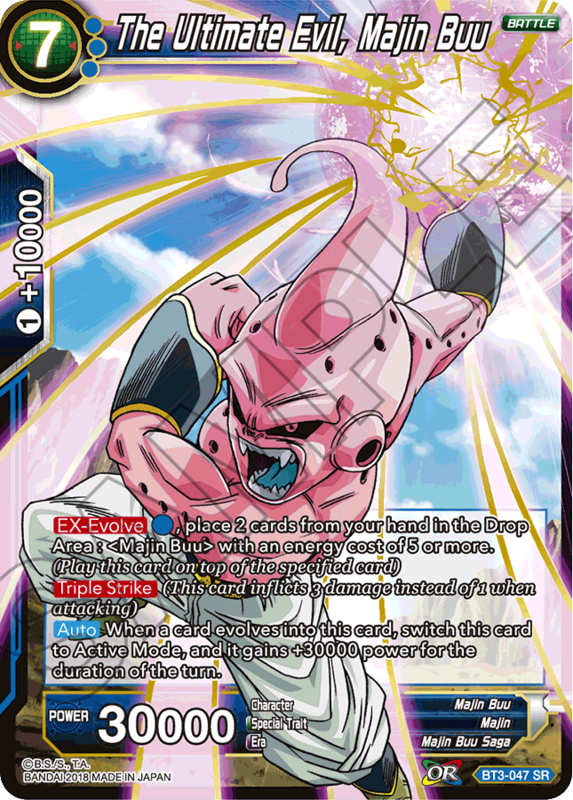 Use cards like BT3-051 Majin Buu and supporting BT3-037 Grand Supreme Kai to control the battlefield and end the game with EX-Evolve! 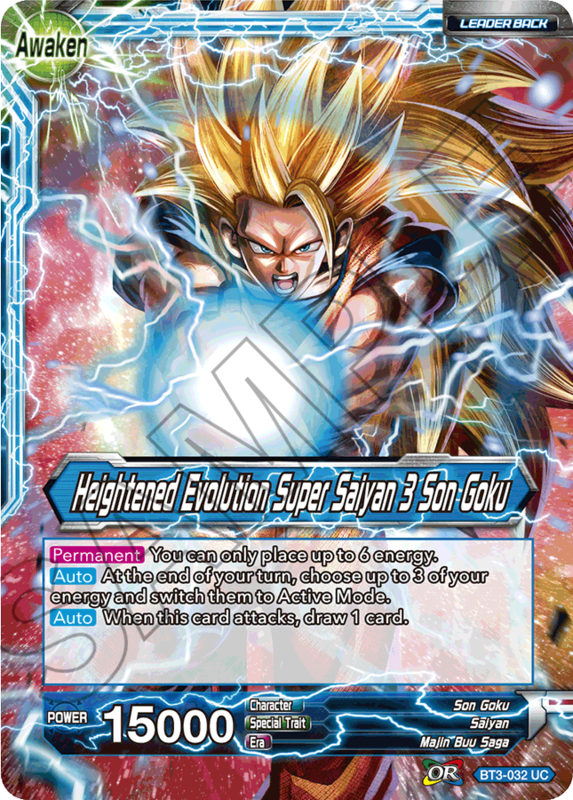 Play this card fast with EX-Evolve! 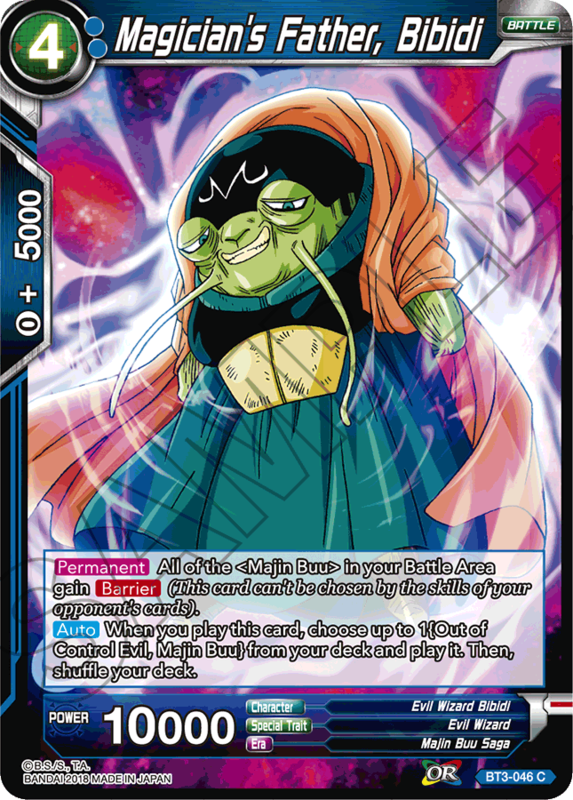 With no means to Counter, the attack won’t be negated… throw everything you’ve got to finish off your opponent!! 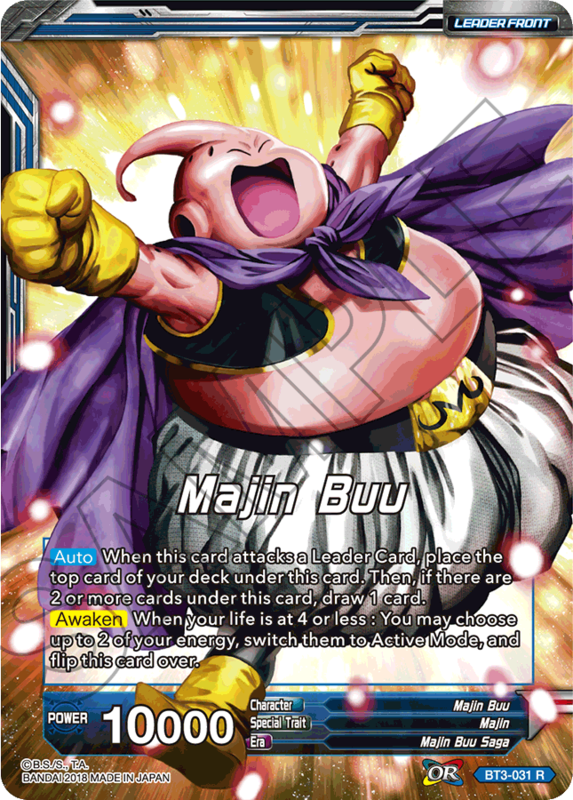 This card gives Barrier (This card can‘t be chosen by the skills of your opponent’s cards) to your Majin Buu cards! 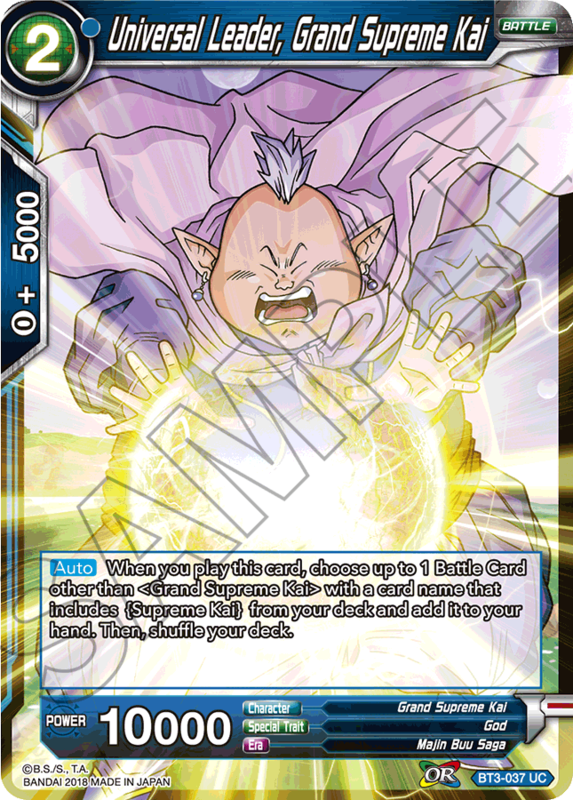 This card hits the opponent with everything it’s got, and is destroyed at the end of the battle… taking your opponent’s cards with him! Revive his iconic self-destruction scenes from the show!! 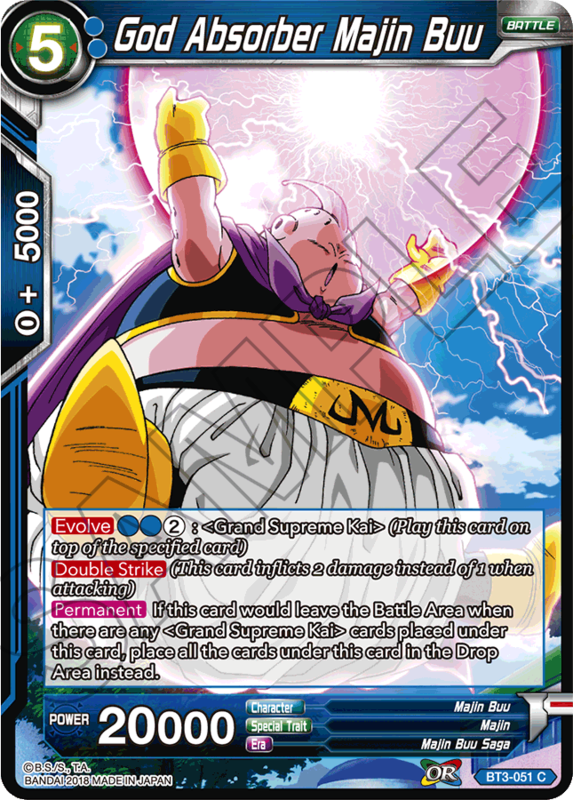 Blue features cards from the climax of the Buu saga! Go on rampage with all the devastating blue skills! !